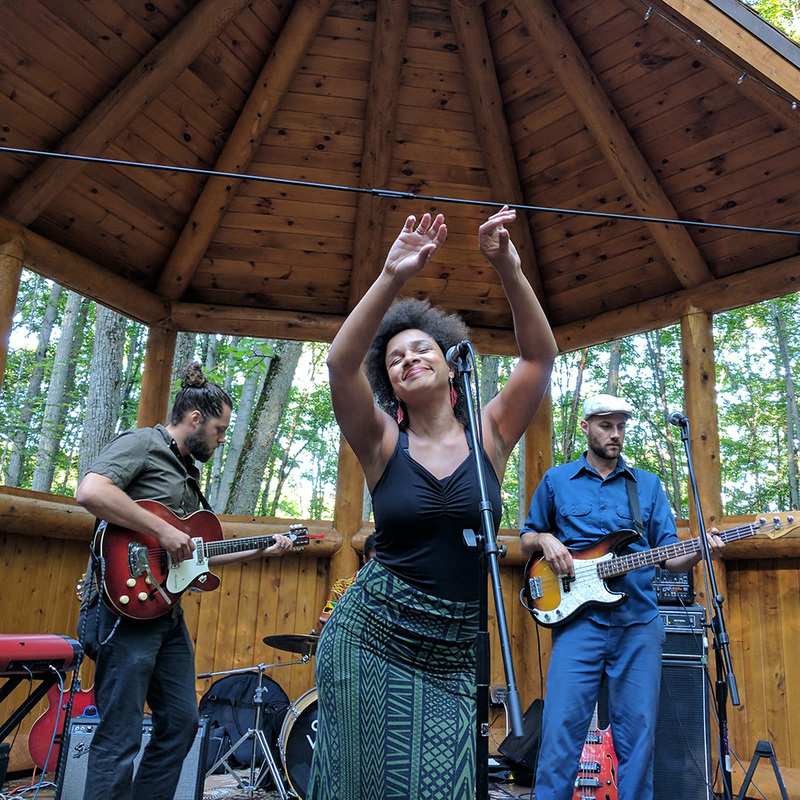 Summer Sounds continued the tradition of great, eclectic music in the Art Park this year! 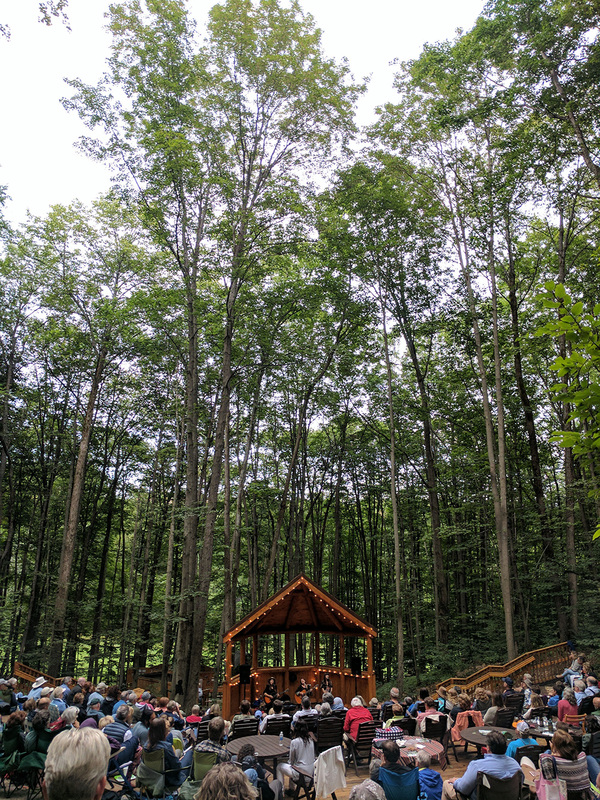 Each of the seven concerts brought something a little different, and as always, the magical setting of our forest amphitheater set the stage for life-long memories. Thank you so much to all the generous sponsors, volunteers and everyone who came out to the events! 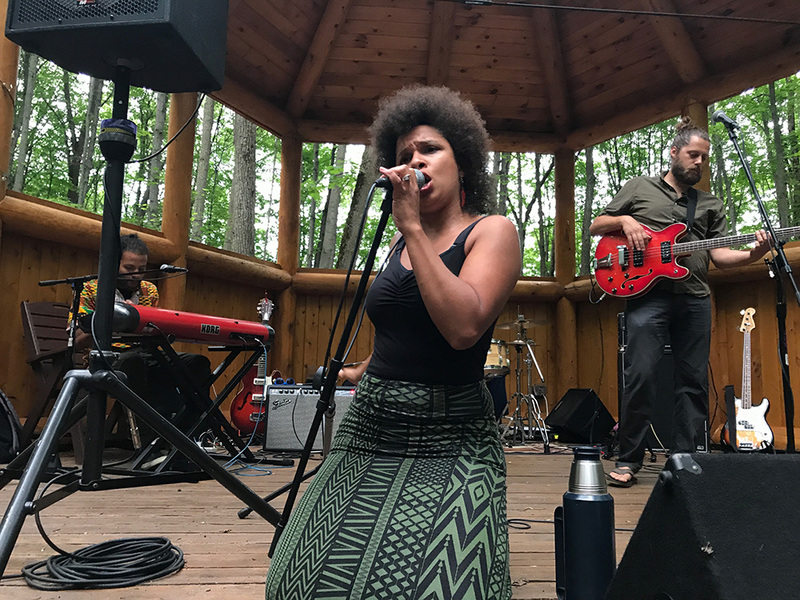 Led by the powerhouse vocals and commanding stage presence of Molly Bouwsma Schultz, Grand Rapids band Vox Vidorra kicked off the series with a bang. The concert was preceded by the annual Art Park members’ reception, so it was really lovely to have many of our “family” there for this concert. 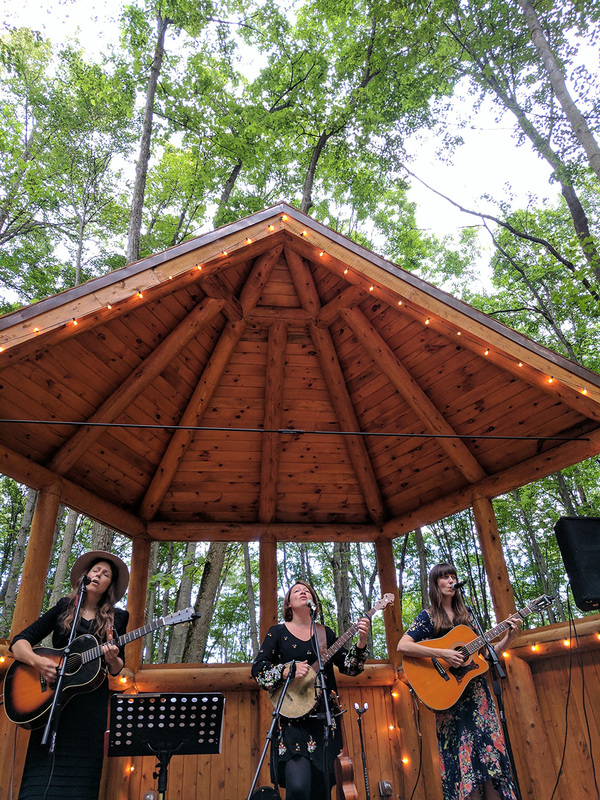 Gray skies parted just in time for local musician Blake Elliott and her band. Her signature style and impressive talent for songwriting, singing and guitar absolutely blew our audience away. 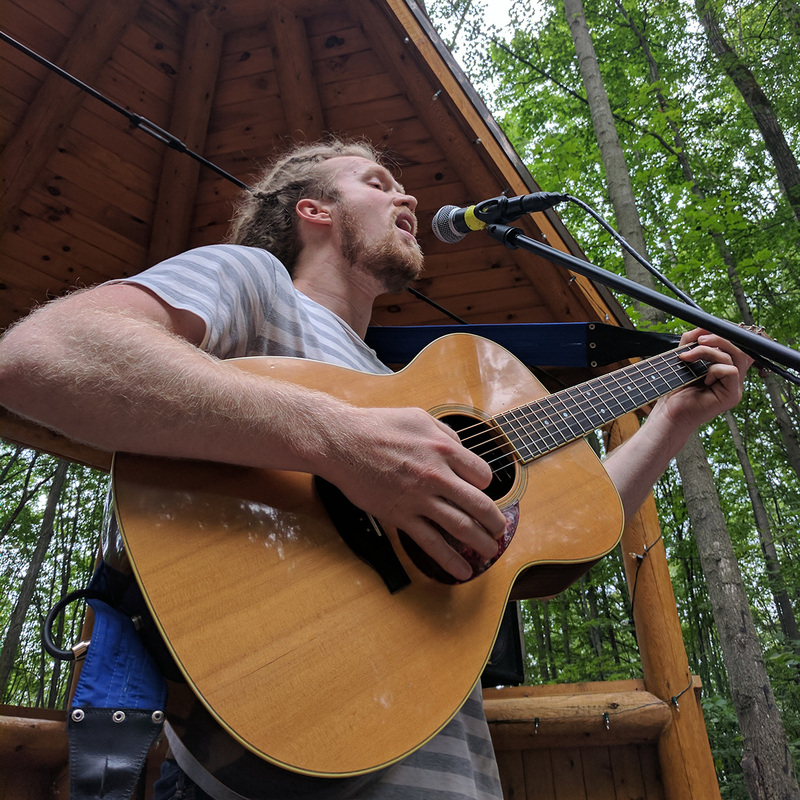 A fantastic crowd came out to hear a special solo set from local songwriter Kyle Novy. We were all delighted by his performance of songs from his recently completed 52-songs project. Celtic fusion group Nessa injected some world beats into the series. Within minutes of their set, their skill became apparent. 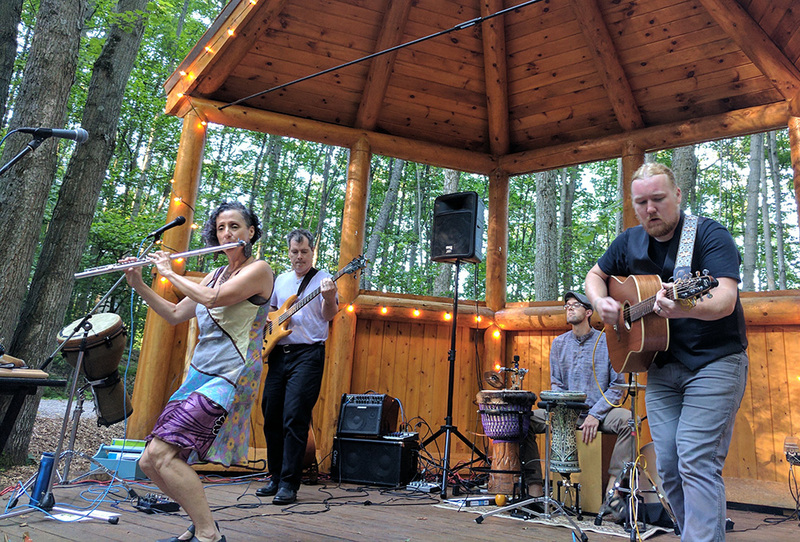 Each member of this group is highly accomplished, and their capacity for performing together–often re-imagining ancient folk tunes with rock and jazz–was a highlight for many of our regular concert attendees. 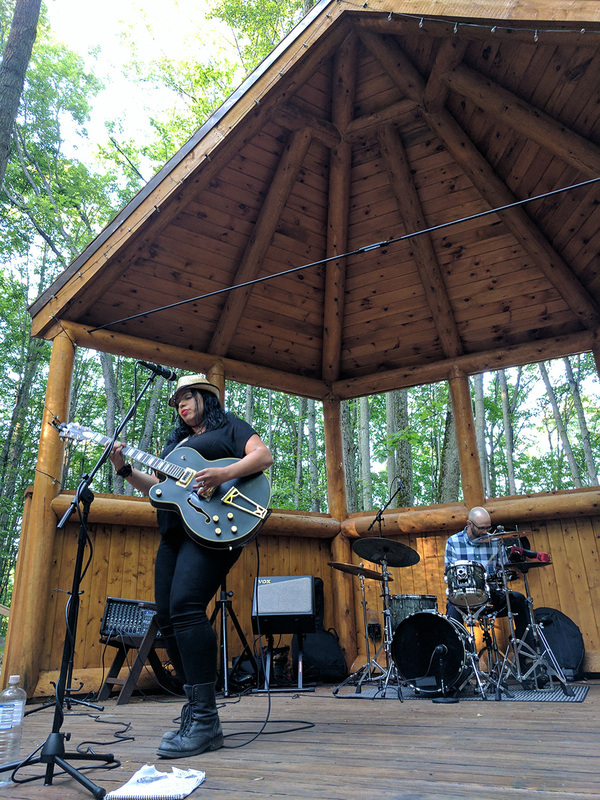 The haunting tune “The Gray Selkie” performed at dusk in the park was a particularly memorable moment. 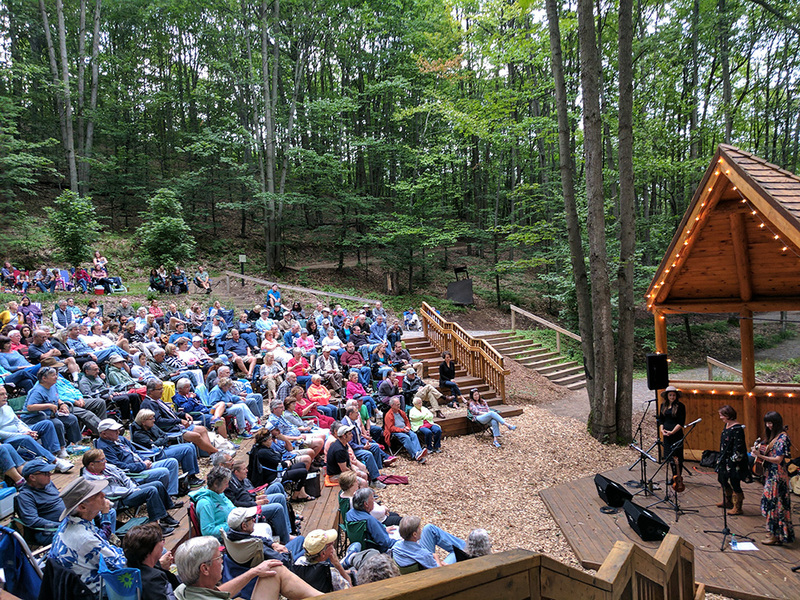 It was to very little surprise that a sellout crowd showed up this summer to see The Sweet Water Warblers perform at Summer Sounds. 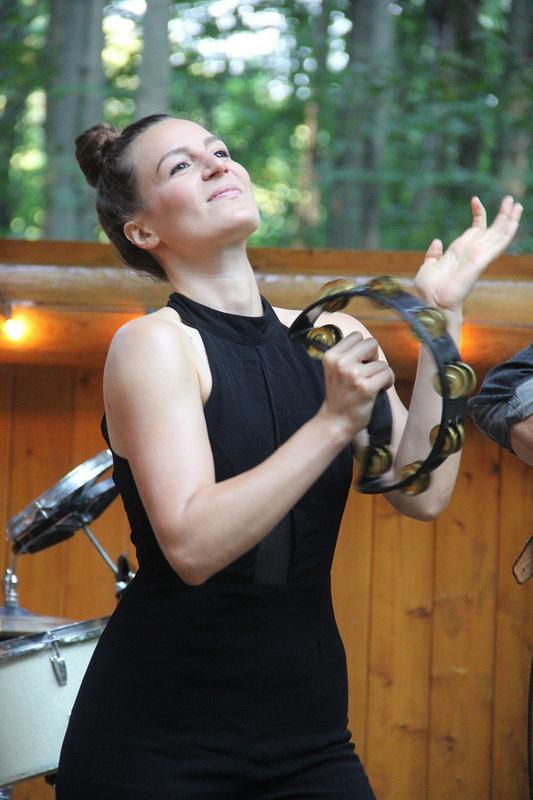 Both Rachael Davis and May Erlewine are already among the all-time favorites from Summer Sounds past–each having performed with a variety of different groups over the years. 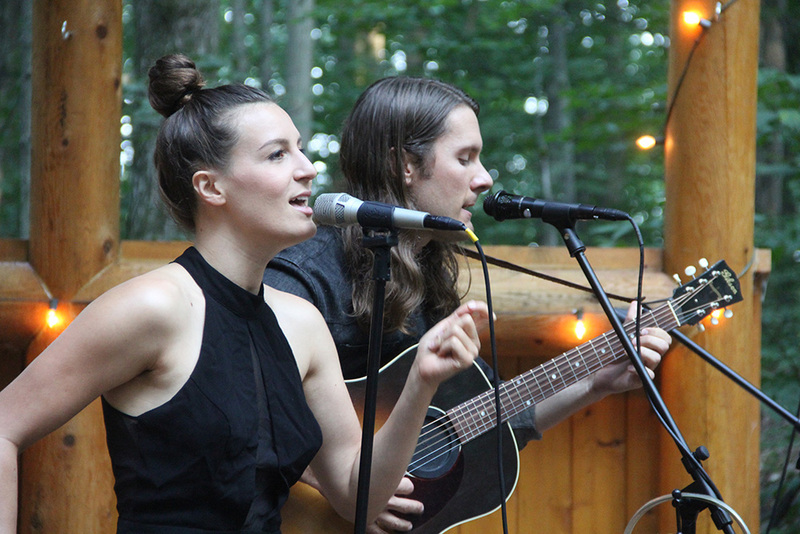 The Warblers otherworldly folk harmonies filling the forest that night was just as magical as anyone might have hoped. 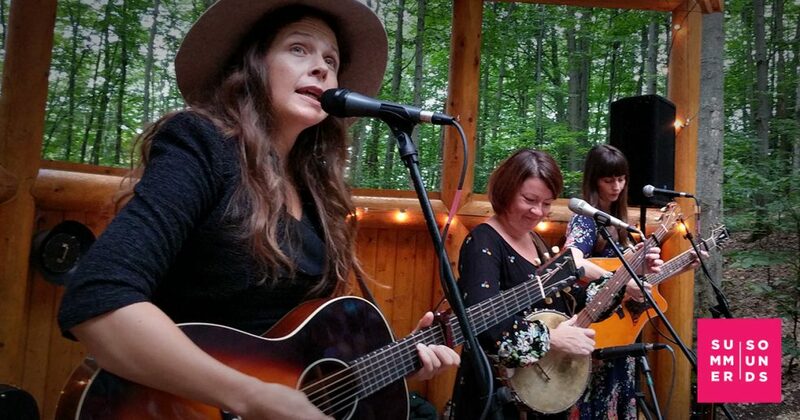 The added bonus was the addition of Anna Ash, who was filling in for Lindsay Lou that evening. It is hard to describe her amazing voice, but so many people were in awe of her that night. The surprise hit of the summer was Nashon Holloway. 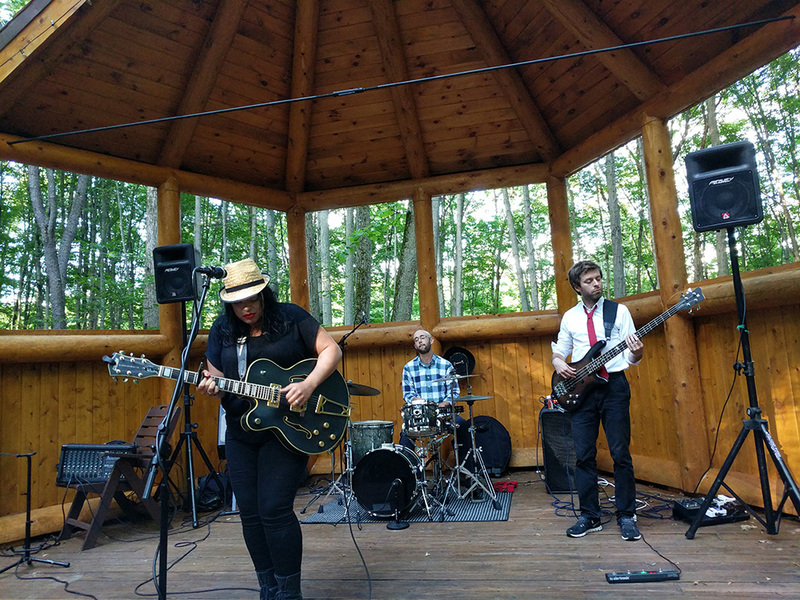 Having recently moved from Kalamazoo to Chicago, this young talent was new to Summer Sounds. Even during the band’s sound check, you could see the first few early audience members stop dead in their tracks at the sound of her voice. She proved to not only be absolutely marvelous to hear, but was incredibly gracious and just very happy to be performing at the Art Park. 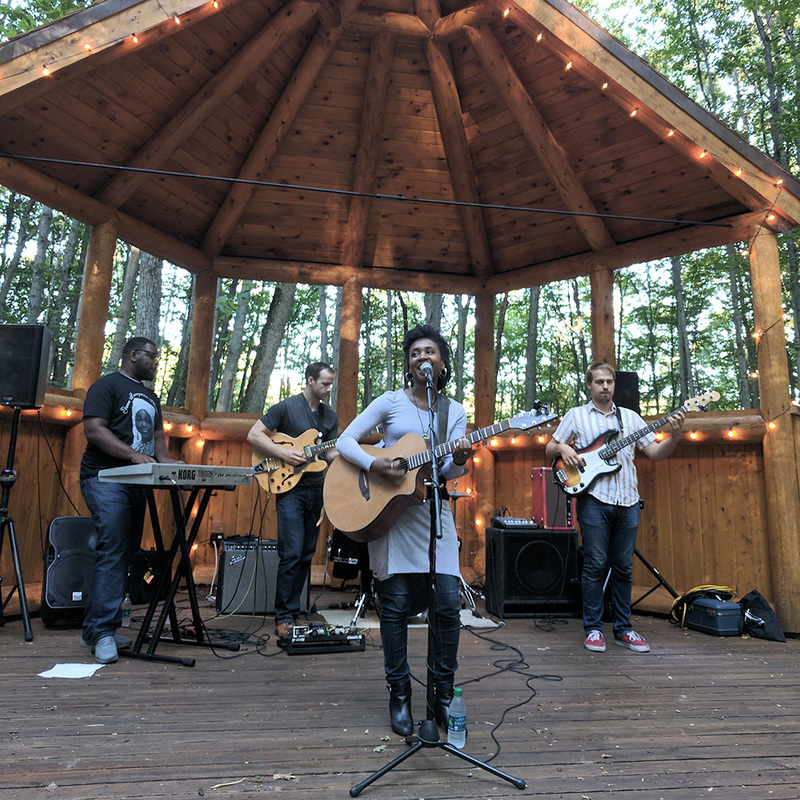 Along with some exceptional original songs, she really got people excited by covering some all-time greats like The Beatles, Stevie Wonder, and even Michael Jackson. The series finale was indeed “grand.” Early in the planning stages, our Artstic Director had introduced us to The Bergamot, a band he had gotten to know through his work at The Leelanau School. 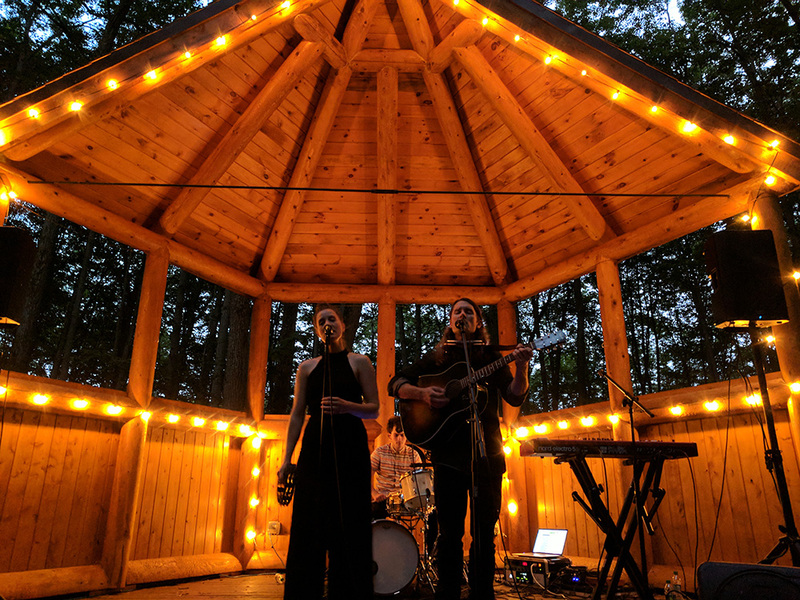 Married duo Nathaniel Hoff and Jillian Speece certainly did not disappoint! In fact they provided one of the most memorable concerts in Summer Sounds history. They have an exceptional gift for songwriting and are also obviously experienced and gifted performers. 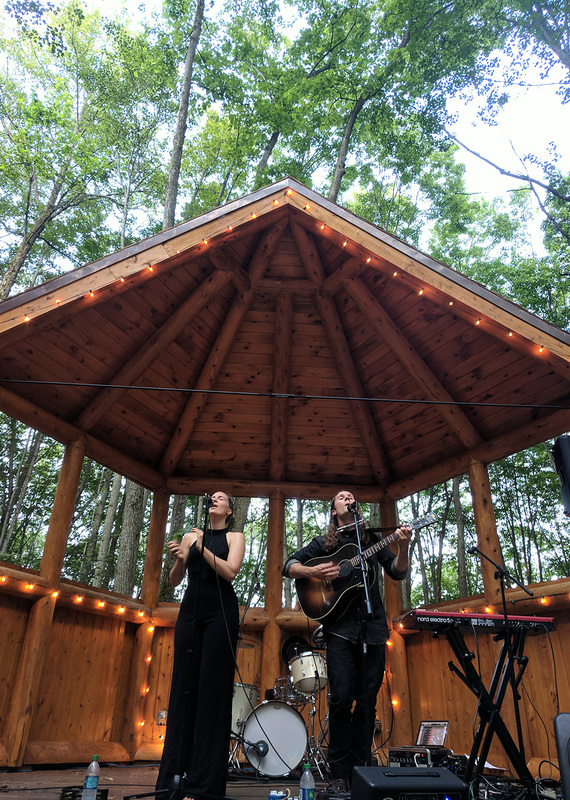 The Bergamot kept the audience engaged well past sunset, and it was a most wonderful conclusion to a very special summer of live music at Michigan Legacy Art Park.